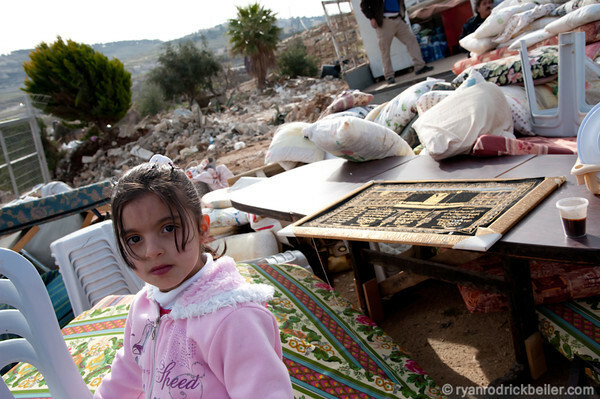 The Israeli occupation forces have recently handed notices to citizens in Kufur Qaddoum village. The Israeli occupation forces have recently handed notices to citizens in Kufur Qaddoum village in Qalqilia district, stating its intention to demolish houses in the village and ordering the cessation of the construction of other houses that are currently being built. The village lies in Area B* of the West Bank, in the south west. Villagers said the occupation forces attacked the village on April 30 in the morning and handed out notices to Shaker Radwa, Basem Barham, Mousa Barham, Ahmad Barham, and Subhi Barham. Kufur Qaddoum is one of many villages in the West Bank holding weekly protests against Israel’s illegal encroachment and annexation of their land. In Kufur Qaddoum in particular, villagers are protesting Israel’s ten-year closure of the main street that runs through the village, despite the occupation court’s decision to open it. 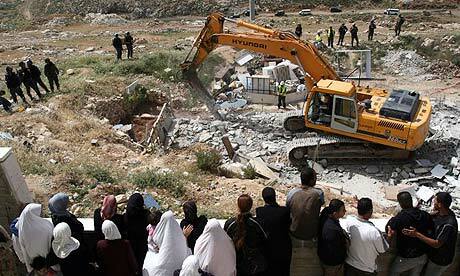 Demolishing houses in the West Bank is the Israeli government’s first step in confiscating more Palestinian land to make way for Israeli settlement expansion. *Following the Oslo accords in 1993 the West Bank was divided into Areas A, B, and C. The Palestinian Authority has limited autonomy in Area A; Area B is under joint Israeli and Palestinian control and Area C, covering 60 percent of the West Bank, is controlled by the Israeli Civil Administration.